When I talk about getting organized I always let the audience members know that becoming organized is about changing habits and behavior, not just changing your environment. During the question and answer session of a recent speaking event I was asked how one might go about changing behavior. I answered the question, but realized that this question is really quite complicated. 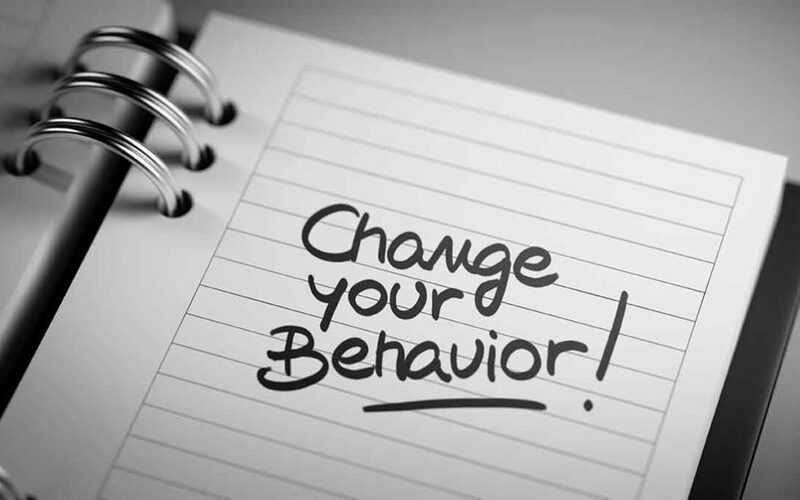 Changing behavior is truly my objective when working with clients. The first step is awareness. I create awareness for my clients by pointing out things that I hear them say or see them do that may be a major contributing factor. We work together to figure these things out and to develop solutions that will help them to break the cycle of their past behaviors. By uncovering these factors and guiding my clients to recognize the behavior on their own, we are creating self awareness that will allow for true lasting change. Behavior assessments can give you great insight into what motivates you, how you work with others, and what behaviors might be holding you back. These assessments are not pass or fail. They simply tell you what your behavior traits are and the common characteristics of individuals with those traits. Some of the assessments available are Myers-Briggs Type Indicator, DiSC®, RightPath, and Enneagram. I use the DiSC assessment with my clients. This gives us a basis to start from in terms of preferred communication style, behavior tendencies and strengths that we can build upon. Occasionally I get calls from friends or family members of individuals who have clutter issues. These friends are very well-meaning, but chances are the person they’ve called about will not see it this way. Unless a person truly wants to change their environment and their behaviors, it will not happen. There is no motivation for them to make changes that someone else thinks are necessary. Sometimes people have lots of clutter and that suits them just fine. Another scenario is the individual who calls because someone else in their life is applying pressure for them to change. This situation also does not typically result in organizing success because the motivation for change is coming from someone else. If you are truly the source of your motivation for change, then what is the ultimate outcome that you want from getting organized? What do you think will happen once you are organized? Your motivation may be that you don’t want your children to grow up in a cluttered environment. Or maybe your ultimate outcome is to have a more professional office environment where you can find things that you need quickly. Without that ultimate goal, or vision, you have no motivation for real change. There are so many factors that can influence your success. If you truly want to get organized so that you can have a better life, at home or in the office, you can do it! Just remember that you must be willing to change both your environment and your habits. Have an ultimate goal in mind and go for it!